IRVINE, Calif.--(BUSINESS WIRE)--Infinite Peripherals, the global leader in enterprise mobility solutions, today announced ezMetr—a complete digital transportation product suite for taxis and black cars. 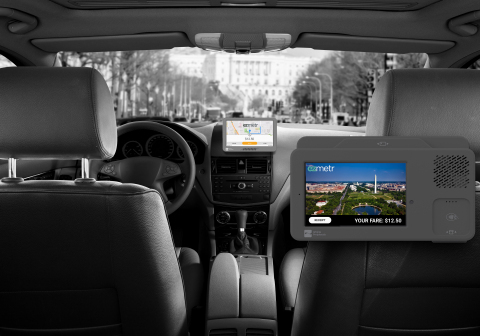 ezMetr is a next-generation digital meter platform that provides dynamic pricing, shared rides, live mapping and paired passenger apps all-in-one. With thousands of drivers carrying over 12 million passengers already, ezMetr is expanding nationally to provide a better experience for drivers and passengers while improving city transportation systems with robust reporting, data and insights. Key to this change and innovation is a mobile app approach to replacing existing taxi technology which is antiquated and cost-prohibitive, including high credit card processing rates and expensive equipment fees that are often passed on to the consumer. ezMetr is the first-of-its-kind digital platform designed to provide services that passengers expect today such as instant digital receipts, fast payment options including Apple Pay and Google Pay, dynamic pricing, and the ability to track and hail your ride as it comes to you. ezMetr piloted its platform in Washington, D.C. and is now launching in new cities throughout the country. A core component of the digital platform is ezMetrIQ, which delivers robust data and reporting capabilities helping regulators and cities gain deep insights and transparency into the multi-modal make-up of their geographies to make smarter transit decisions. Real-time data recording including heat maps, live tracking, immediate consumer feedback, and easy cloud-based access are native to the ezMetr and ezMetrIQ platform.